BLOOMFIELD HILLS, MICH., March 20, 2019 –The 2019 Graduate Degree Exhibition of Cranbrook Academy of Art opens to the public on April 13 and will showcase work from more than 60 graduating Cranbrook Academy of Art students. Featuring pieces that are the culmination of two years of studio work from a diverse group of students, visitors will see firsthand what it takes to become tomorrow’s creative leaders. The exhibition will run from April 13 through May 12, 2019, at Cranbrook Art Museum. A special ArtMembers Opening Reception will be held on April 13 from 6–9pm. Memberships may be purchased in advance via our website or at the door that evening. Non-members can purchase a ticket at the door for $20. The exhibition will fill the entire upper galleries of Cranbrook Art Museum. It is the most diverse exhibition offered all year as it showcases work from 10 Academy departments – 2D and 3D Design, Architecture, Ceramics, Fiber, Metalsmithing, Painting, Photography, Print Media, and Sculpture. On April 28 from 1-5pm, visitors can tour the Academy’s private studio spaces and purchase student art at our annual OPEN(STUDIOS) event. This is the only time of the year when the public is invited inside the private spaces of today’s emerging artists and designers. Student artists and faculty from the Academy’s 11 departments will be on hand to discuss their work and show off their creative spaces, and student art will be for sale. OPEN(STUDIOS) is a FREE event! Register through Eventbrite and receive free admission to the Art Museum and Cranbrook Institute of Science, and participate in free tours of Cranbrook House and Saarinen House during your visit. In conjunction with OPEN(STUDIOS), museum educators will also host a Spring Family Day with kid-friendly tours and hands-on art projects. Check in at the main event table located outside of Cranbrook Art Museum or at any of the participating campus venues. The event will be held rain or shine. For more information, visit our website. 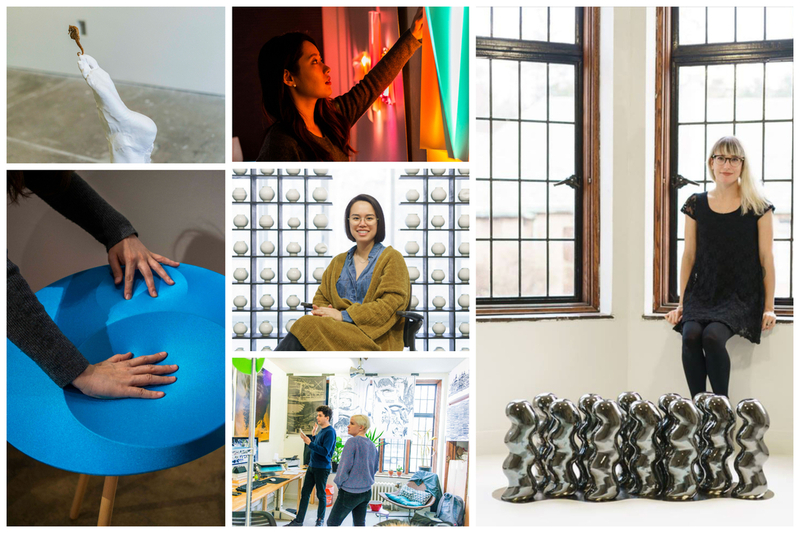 The 2019 Graduate Degree Exhibition of Cranbrook Academy of Art and OPEN(STUDIOS) are sponsored by Mercedes-Benz Financial Services USA LLC as part of their ongoing commitment to supporting emerging artists of all ages. Additional support for the 2019 Graduate Degree Exhibition of Cranbrook Academy of Art is provided by the Clannad Foundation.